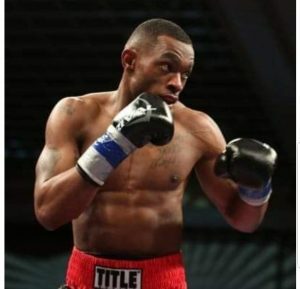 “I’m always going to come to fight,” 16-1-1 super welterweight Jimmy “Quiet Storm” Williams tells me. An engaging, easy to speak to individual, Williams is moving towards top ten contention by facing 22-1 Mark DeLuca on at the House of Blues in Boston on March 16th. Eager to take his career “one step at a time,” Williams says a win on Saturday will place him “number 10 in the world (in the WBA rankings).” In other words, the future will start looking extremely bright should the New Haven native emerge victorious in Boston this coming Saint Patrick’s Day weekend. In DeLuca, Williams will be facing a Massachusetts native who will essentially be the hometown fighter. Williams, however, feels he knows his opponent well, having actually commentated one of DeLuca’s previous fights. “I know he dominated,” Williams says of the experience, “I did the commentary.” Although he’s seen the man look impressive in the ring, Williams still exudes confidence, saying he’s “just preparing for the big fight on March 16th.” What’s more, Williams has fought outside of his home state of Connecticut before, having branched out to such places as nearby Rhode Island and far away Las Vegas. “Camp is going good,” he says of training in East Haven. He will continue going strong until “about two weeks” before the fight, when his physical preparation will begin to taper down. In the meantime, Williams is staying focused on winning the NABA/WBA Super Welterweight title, which will be at stake when he faces DeLuca. “I’m just going out there to do what I do,” he says, adding he’s happy to “let the fight take care of itself.” Being overeager to impress, after all, can lead to disastrous consequences. The important thing is to get the win and move on to bigger things.